Looks great as a pendant! 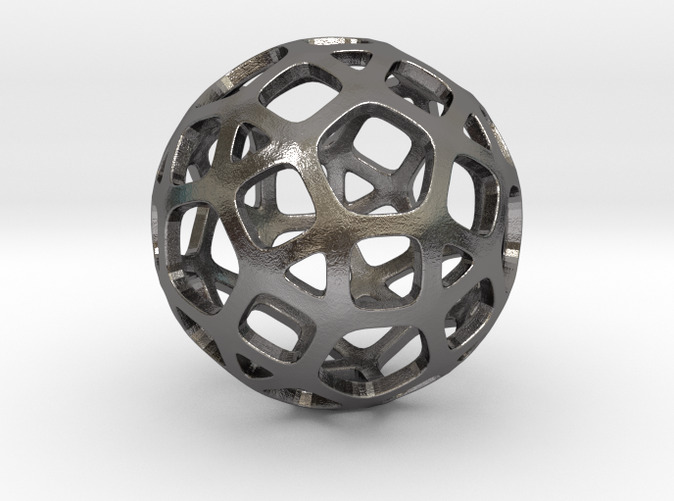 The mathematical term for this object is spherical rhombicosidodecahedron. That's quite a mouthful, huh? 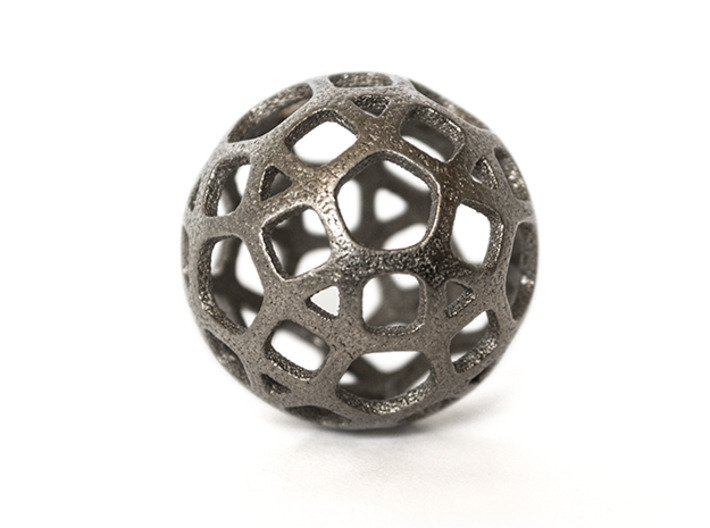 This fascinating shape, which we call the DodecaBall, is also sometimes referred to as an expanded dodecahedron. What that means is that to create one you must start with a regular dodecahedron or icosahedron and move every face outward on an axis perpendicular to its orientation such that when new faces are created in the voids every edge has the exact same length. It's an Archimedean solid and this particular version is also projected orthographically onto a sphere, resulting in a surface that is smooth and facet-free. 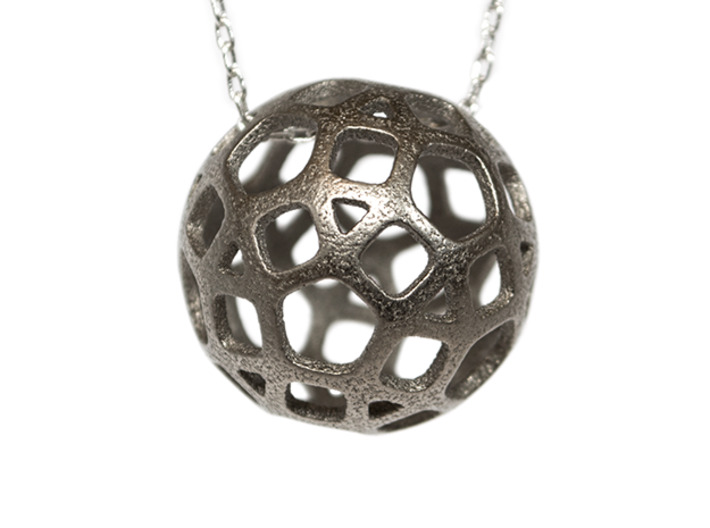 The regular geometric construction of this piece combined with its smooth spherical surface gives it a unique look that is both mechanical and organic. 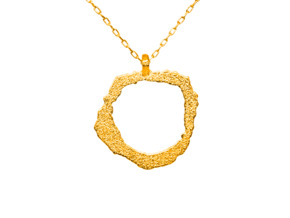 As a pendant it is sure to turn heads.